British royal family: Which football clubs do the Queen, Prince Harry & Prince William support? The Queen, Prince Charles, Prince William and Prince Harry have all shown allegiance to various football clubs over the years, with rumours of certain players and coaches influencing their choice of team. London sides Arsenal, Chelsea and West Ham have all been thrown into the mix as local clubs to the UK royal’s family home. However, sides further afield are also speculated to be supported by various members of the monarchy. Which football club does Queen Elizabeth II support? The current head of state in the UK, Queen Elizabeth II has been speculated to support a number of sides over the years. It’s now thought the Queen may be a West Ham United fan. It’s thought the reigning monarch has kept tight-lipped about her team to remain neutral but it’s since been reported that she could have admired the club as far back as the 60s. However, it’s also thought the Queen may have a soft spot for Arsenal after meeting with Arsene Wenger at an event at Buckingham Palace in 2007. It’s rumoured she was particularly impressed with Cesc Fabregas after chatting to him. Which football club does Prince Charles support? In 2012, it came to light that Prince Charles was a Burnley supporter after doing charity work in the area. Following the revelation, Burnley gave the head of the commonwealth a VIP season ticket. Which football club does Prince William support? The Duke of Cambridge, Prince William, is probably the most active member of the royal family in the footballing world. An avid Aston Villa fan, he’s attended multiple games ever since he was taken to Villa Park as a child. In 2006, Prince William also became president of the FA and has regularly attending England games and FA Cup finals. In addition, he opened the St George’s Park national football centre, which has links to the England national team, and hosted a football match at Buckingham Palace to celebrate the work of grassroots football volunteers. Which football club does Prince Harry support? Prince Harry has kept quiet about his allegiance to one specific club, mostly seen at England games or cup finals. However, when conducting charity work with local children at the New Zealand government house in Wellington a few years back he was heard saying “most of the royal family are Arsenal fans”. 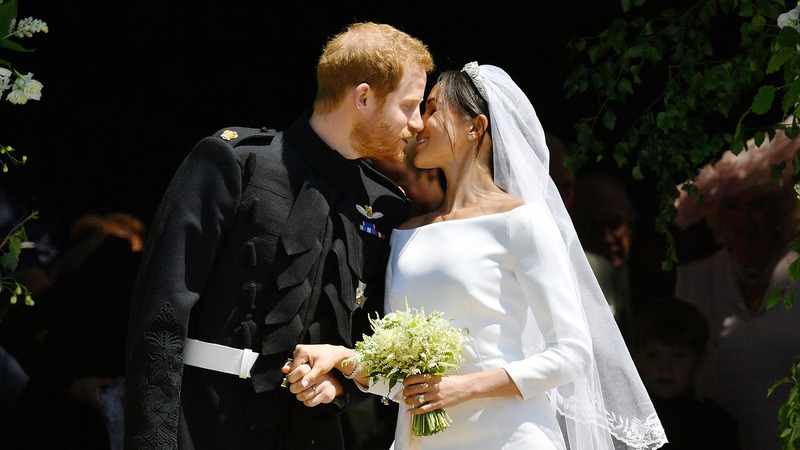 It’s was speculated Prince Harry’s marriage to Meghan Markle, which fell on the same day as the FA Cup final between Manchester United and Chelsea, was purposely being held at 12pm UK time so that attendees of the big day were still able to watch the match, which kicked off at 5:15pm. Following the announcement of Meghan Markle’s pregnancy, the new royal baby may attend games with Prince Harry. Which football club does Kate Middleton support? The Duchess of Cambridge, Kate Middleton, might have been thought to support the same team as her husband, Prince William, and be an Aston Villa fan. However, during an engagement with a children’s charity in 2015 she revealed she was a Chelsea fan.